In 1980, a twenty-three-year-old student named Aaron Lansky set out to rescue the world’s abandoned Yiddish books before it was too late. Twenty-five years and one and a half million books later, he’s still in the midst of a great adventure. 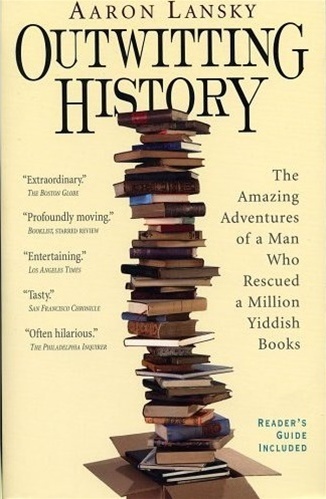 Filled with poignant and often laugh-out-loud tales from Lansky’s travels across the country as he collected books from older Jewish immigrants—books their own children had no use for—Outwitting History also explores brilliant Yiddish writers and enables us to see how an almost-lost culture is the bridge between the Old World and the future.